McCormick’s is made in Ireland, you can taste the whiskey and cream with slight notes of coffee and cocoa. I found it very close to Baileys, but not as thick. 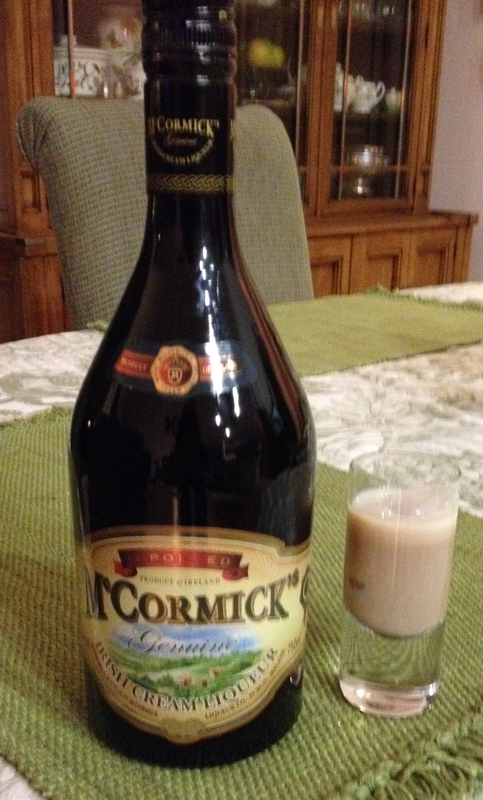 Since I use Irish Cream in my coffee when I go skiing, I think I’ll stick with the McCormick’s. By the way, Irish Cream goes bad, so drink yours up within 6 months of buying it. Here’s my mix for a yummy cup of coffee when you need to warm up this winter. 1 Part Irish Whiskey like Bushmills or Jameson. Mix together and keep in a flask, jar, thermos, etc. and add to your coffee in an amount that works for you. Be careful, and for heavens sake don’t drive after drinking this. In fact, don’t ski after drinking two of these…. Posted in coffee drinks, liquor, references, recipes and tagged Baileys, coffee, drinks, Irish Cream, Irish Whiskey, McCormick. Bookmark the permalink. Hey- if it’s just as good but cheaper?!!! Why not! Thanks!